Mother's Day is coming...and someday, so is Spring. 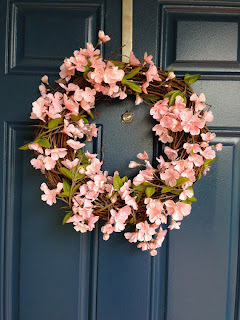 It's hard to say that today when we are supposed to get another couple inches of snow, but I'm trying to be optimistic and think about the pretty flowers and warmth of spring. So my Mother's Day ideas today are based on the blossoms of Cherries and spring. 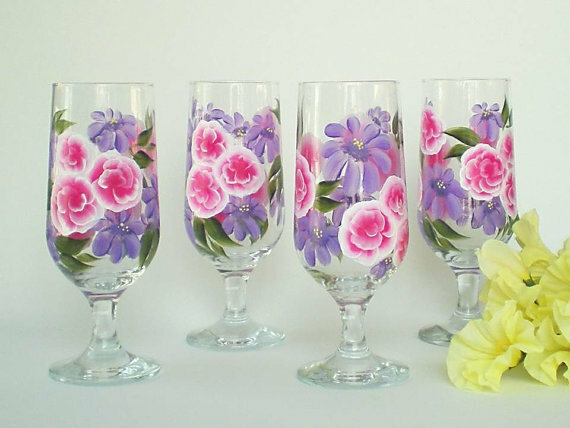 I'm dreaming of both right now and thinking of some bright, pretty colors in my home. 1. 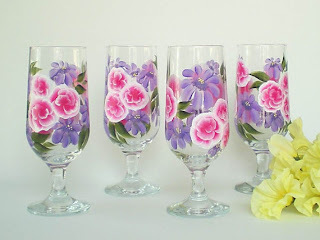 Hand Painted Glasses by HandPaintedPetals. 2. 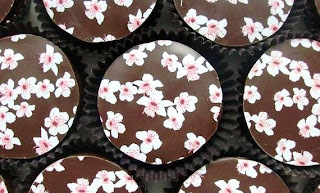 Cherry Blossom Oreos by SweetiesbyKim. 3. 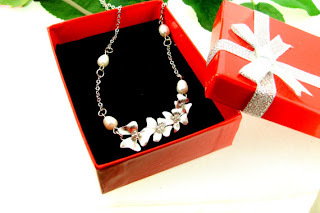 Silver Cherry Blossom Necklace by XXYZ. 4. 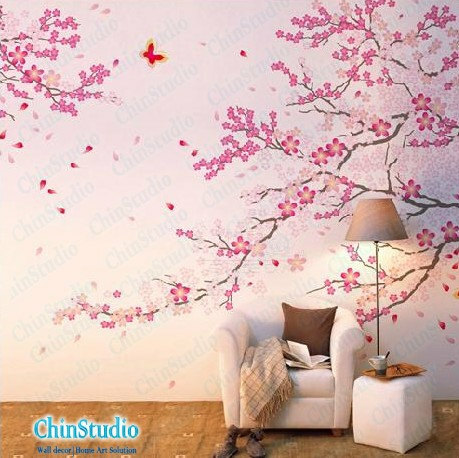 Cherry Blossom Vinyl Wall Decal by ChinStudio. 5. 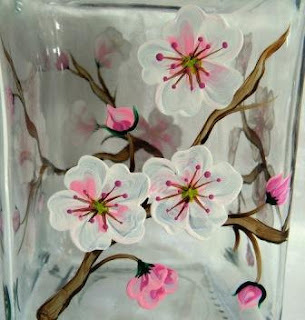 Hand Painted Cookie Jar by Morningglories1. 6. World's Best Pendant by LittleGemGirl. 7. 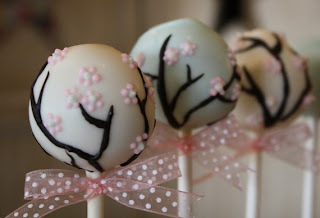 Spring Cherry Blossom Cake Pops by MomsKillerCakes. 8. 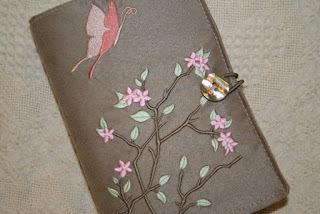 Butterfly and Blossom Embroidered Book Cover by WeeBeeStitchn. 9. 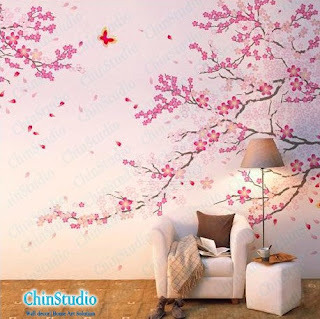 Japanese Cherry Blossom Pillar by KandsCandlesandMore. 10. 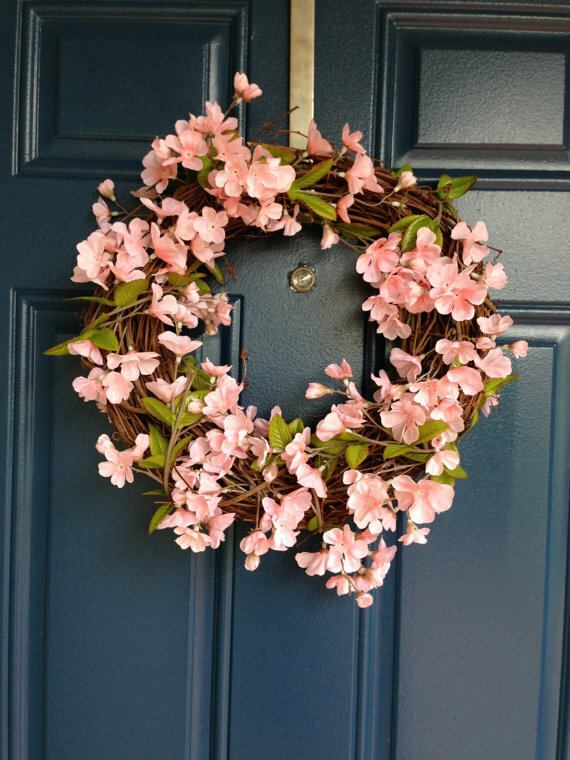 Pink Blossom Wreath by Starlovely. Is it warmer where you live? 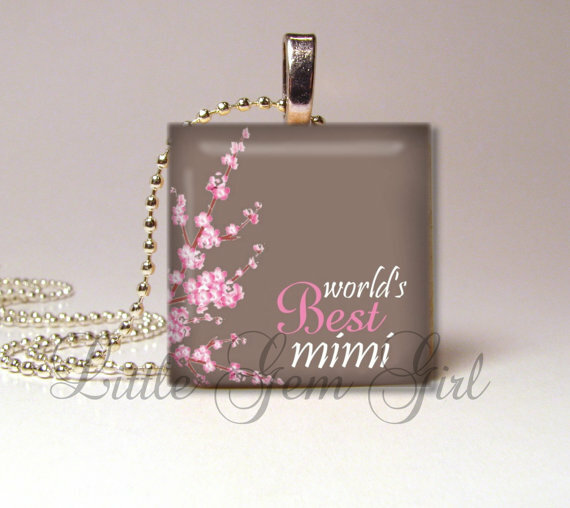 Have you started thinking of Mother's Day gifts? 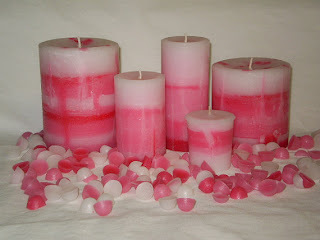 What do you plan to give?